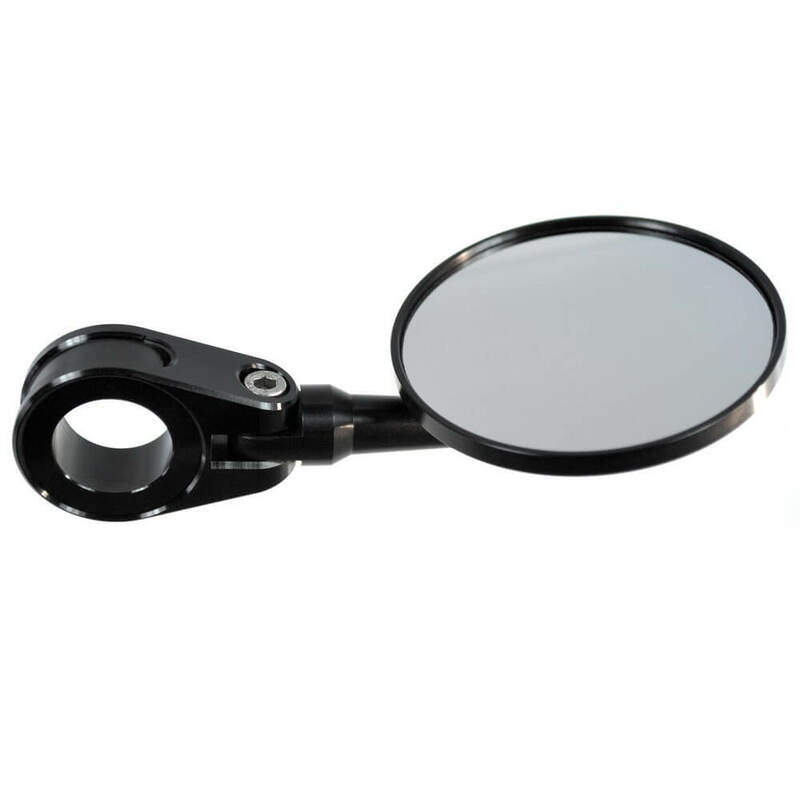 The bar end mirror m.rear 75 is small, reduced and matches perfectly our bar end turn signals, the grips m.grip as well as the push button control m.switch and m.switch Mini. It is CNC machined of billet Aluminium and black anodized. 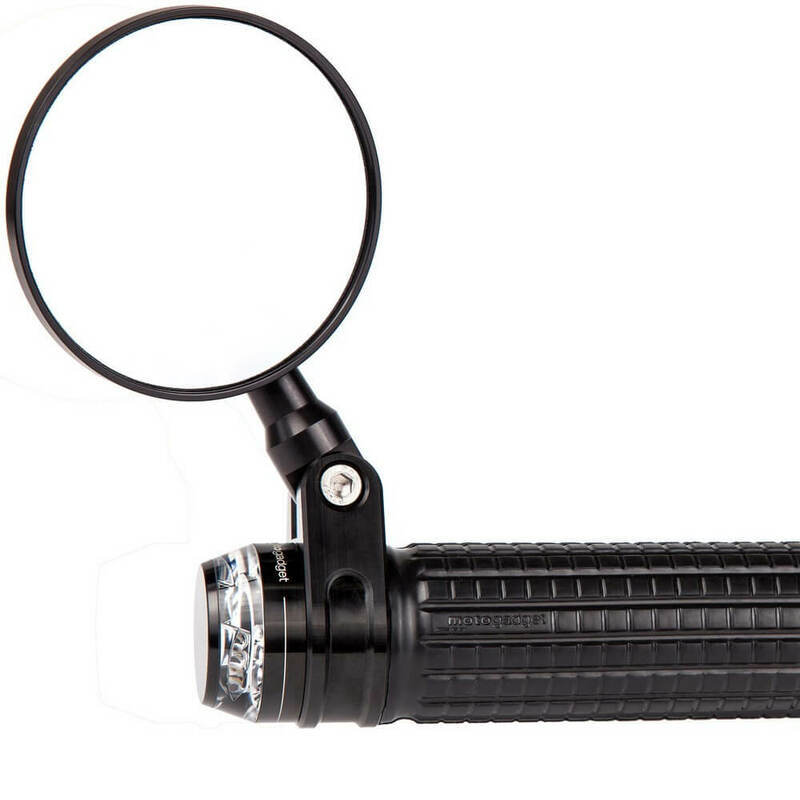 The clamp sits at the handle bar tube and ballhead allows a wide range of adjustment. It can be mounted right side up and up side down. 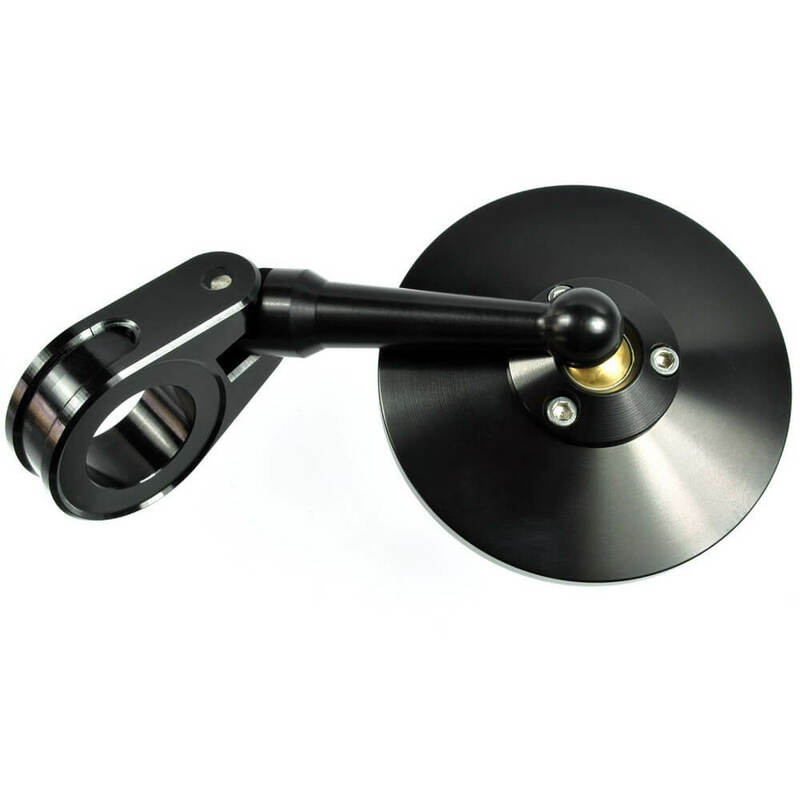 The rear view mirror has a diameter of 75 mm und no approval. Please measure your bar tube diameter precisely before you order.